Wide angle view of the Mercedes-Benz Stadium and oculus and the Mercedes-Benz Club during an NFL game. 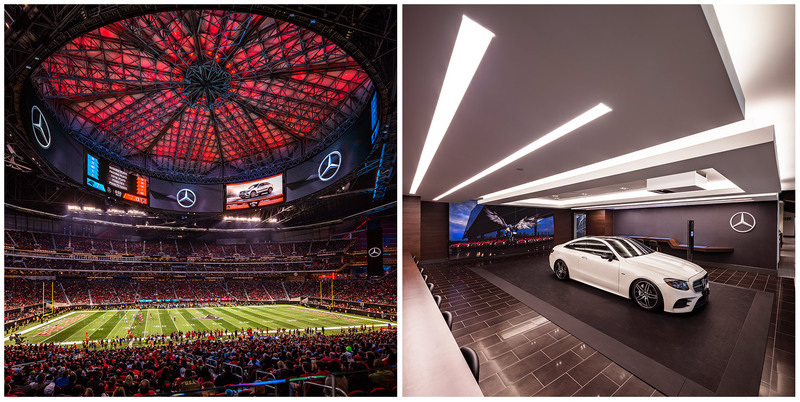 The Mercedes-Benz Stadium in Atlanta, GA features a retractable oculus roof and a 360 degree video board. The Mercedes-Benz Club is at field level and doubles as a showroom.